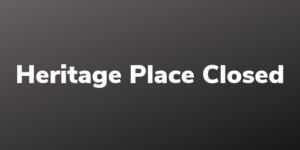 Heritage Place of Indianapolis, Inc. was founded in 1976 by the Butler Tarkington and Meridian Kessler neighborhood associations and focused on the recreational needs of adult persons 55 years of age and older. Funding for 1976 was a recreational grant from the Indianapolis Department of Parks & Recreation. The purpose of this neighborhood project was to offer social, recreational, cultural and educational opportunities to all persons 55 years of age and older. In its first year, Heritage Place made rapid strides in serving 100 members. By December 1978, the Board of Directors realized that a recreational program was not adequately fulfilling the needs of the older residents of these neighborhoods. After consulting with community leaders, the Board felt the need for the development of a multi-service senior program. Today, Heritage Place, continues to thrive reaching more than 1,250 older adults each year and serving an expanded population in the northern half of Marion County. Heritage Place creates opportunities for independence by offering a unique combination of center-based activities and home services. 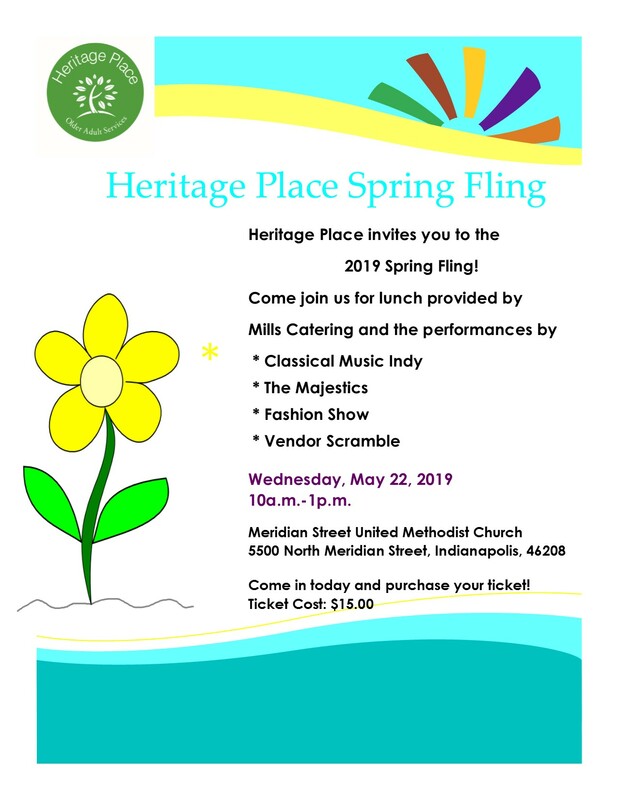 Funded by donations, annual fundraising events, grants and the United Way of Central Indiana, Heritage Place programs focus on education, fitness, companionship, fellowship and community resources information. Our senior center is open five days a week for our members and guests to attend a variety of educational classes, physical fitness classes, health screenings, learning opportunities and social activities. By appointment, our members and guests, receive of foot care, notary service, manicures, and meet with SHIP (State Health Insurance assistance Program) counselors to receive guidance through Medicare options and answer questions about Medicaid and health insurance. Home Services offer Home and Yard project work for members, Senior Companions for friendly visiting to the community, Information and Referral for caregiver and other community resources and grocery shuttle service for zip codes 46205, 46208, and 46220. We are funded by generous donations, grants, fundraisers, Corporate Partners and the United Way of Central Indiana. Our mission is to provide older adults with comprehensive and coordinated human services to encourage and promote healthy lifestyles, independence, well-being and quality of life. Through excellent programs, services and responsible stewardship, Heritage Place of Indianapolis, Inc. will be a gateway to enrich the quality of life of older adults and the communities in which they live. Heritage Place will provide comprehensive center-based and in-home services to meet the social, mental, physical, emotional, and cognitive needs of those we serve.